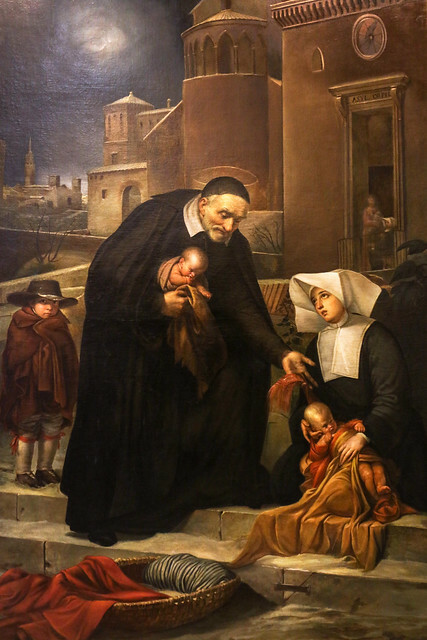 Saint Vincent de Paul, who founded the Daughters of Charity, was born in 1581 in the small, poor village of Gascony, France to a peasant family. At an early age, he showed a talent for reading and writing. At 15, his father sent him to school, managing to pay for it by selling the family’s oxen. A good ecclesiastical career, his father believed, would enable De Paul to be financial independent and to help support his family. 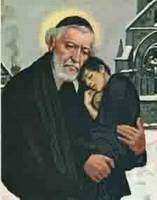 De Paul was ordained as a priest at the age of 19. Today his remains are visible here.